In front of the camera, the Gionee P8 Max does not really disappoint, at least on paper. There is a 13 megapixel rear view camera with f / 2.2 aperture size. Functions include autofocus, HDR, LED flash and face detection. It can record potentially high-quality 1080p Full HD video. The 8-megapixel selfie shooter is also ready to deliver high-quality self-shots. Under the hood is a MediaTek MT6737T four-core chipset with Cortex-A53 cores. The processor speed is 1.5 GHz maximum. This does not promise the best performance. But providing 3GB of respectable RAM should increase responsiveness and performance. The built-in memory is generous with 32GB, but you can not extend that. 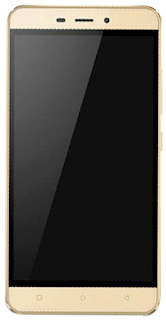 The Gionee P8 Max launches Android 6.0 Marshmallow OS with Amigo 3.2 skin from the Chinese manufacturer. A non-removable Li-Ion battery with a capacity of 3150 mAh promises a long enough battery life, especially because of the low resolution. The dual-SIM device delivers high-speed LTE connectivity for fast mobile downloads. Wi-Fi 802.11 b / g / n with Wi-Fi Direct and Hotspot. The Gionee P8 Max also offers Bluetooth (version 4.0) among its connectivity options. For location requirements, you can also get a GPS with assisted GPS. The smartphone is not available in Nigeria. You can buy the smartphone in the main online stores of the country. The Gionee P8 Max prize in Nigeria is expected to be between 75,000 and 110,000 nairas, depending on your location in the country.